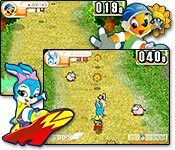 Hover Ace is a 500 km/h hovercraft battle race, with various weapons, equipment, power ups, and gripping gameplay from start to finish. 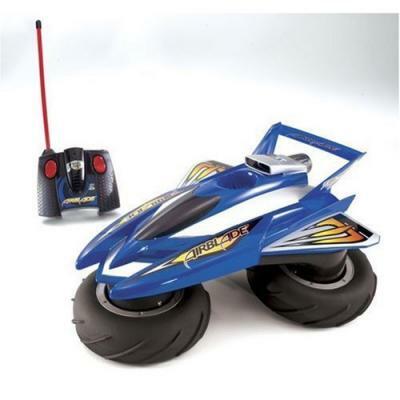 RC Racing Hovercraft rides on a cushion of air created by pressurized air blowing downward into the rubber air-bag skirt, specially designed to "seal" with the ground. Los amigo travel in the Mexican desert on his rocket hovercraft. Drive your miniature boat against two computer players. Also known as hovercraft racing. 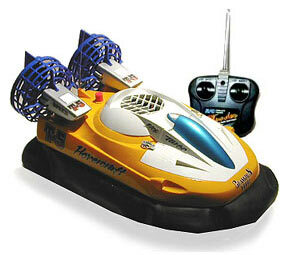 The next generation in remote control hovercrafts featuring 3 air cushions. Hover over land, snow, ice, and water. Tilt and rotate the rear air cushions by radio control to steer and propel your Airblade. Watertight and fully amphibious. Race this miniature hovercraft across land, water and ice. It runs on any smooth surface and is easy to steer through tight spots with the full-function controller. 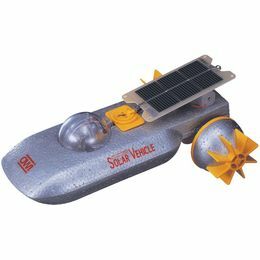 Solar powered amphibious vehicule. Built-it yourself kit. Educative. Explore the Antarctic or take in beautiful Bora Bora. 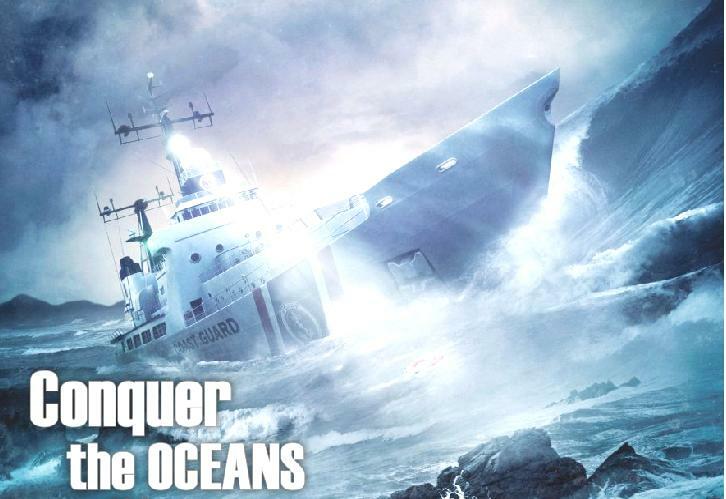 Sail into extremes conditions: storms, Antartica, snow, and rain. Wide range of vessels to captain, including Coast Guard interceptors, supertankers, tugs, cruise liners, and many others. 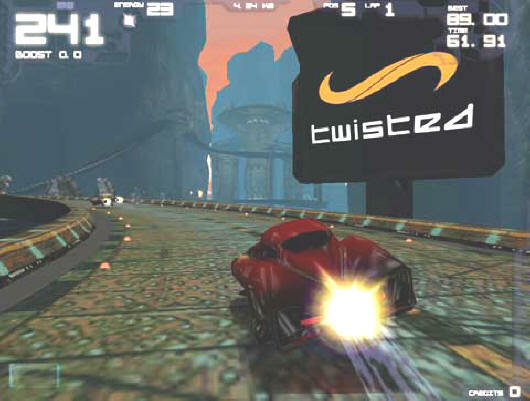 Space Haste 2 is an adrenaline pumping, futuristic hovercraft racing game that puts players in the driver's seat of the hottest hovercrafts on the planet! 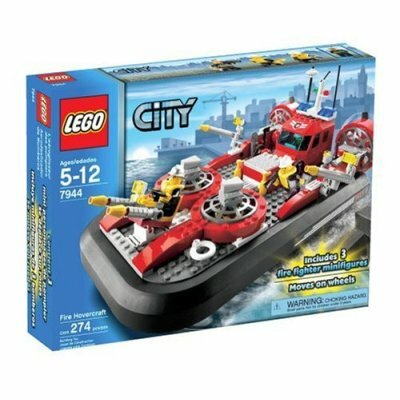 The LEGO fire hovercraft has wheels for dry land, and can move in any direction. The firefighters on board have lots of accessories and tools for any rescue situation! Deck hoses rotate to fight fire in all directions! Race around on a hoverboard! 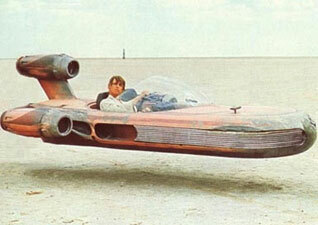 Star Wars hovercraft Landspeeder racer with Luke Skywalker driving. 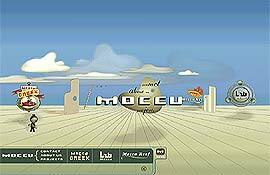 You are a researcher on Europa, a moon of Jupiter and you get to program the intelligence of your hovercraft, wheeled or treaded robotic vehicles. 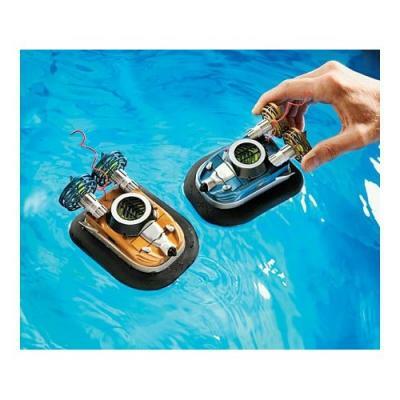 This mini Formula 1 RC Hydroplane boat is the perfect fit for pools of all sizes. The hydroflyer is an rc multi-surface vehicle. It operates on water, asphalt, snow, grass, and any other smooth surface. 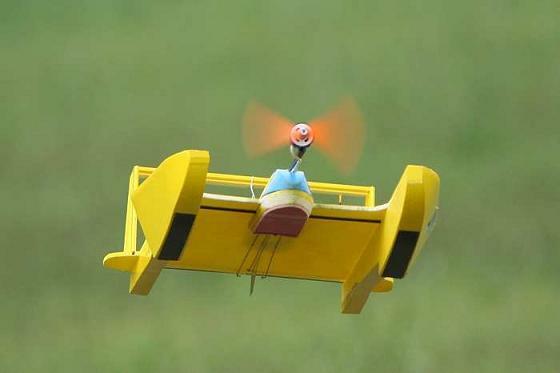 The kit includes the parts to assemble the flyer, including the body, battery, charger, transmitter, motor, and propeller. 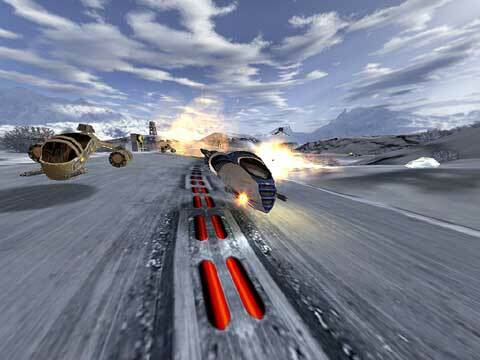 Wild race between powerful turbocars and hovercrafts of the future, over racetracks on three different planets! 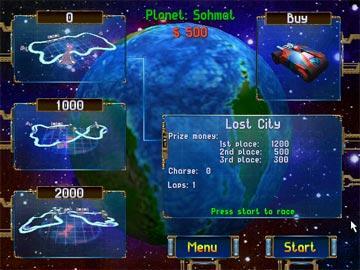 Machine Hell Control an advanced military hovercraft and destroy aliens! 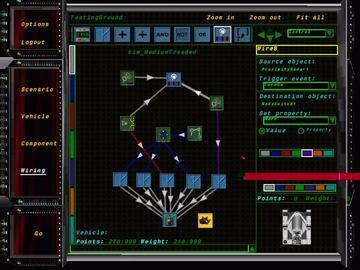 » Machine Hell Control an advanced military hovercraft and destroy aliens!